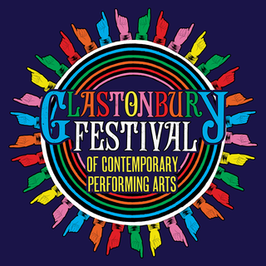 To obtain tickets for Glastonbury Festival you must register. Failure to follow the registration instructions correctly will lead to rejection, you will be notified if this occurs; however we would advise that you check your registration prior to tickets going on sale to ensure your registration has been accepted. Anyone twelve or under when gates open does not need a ticket and therefore need not register. Registration does not guarantee you a ticket. You will need your registration number to purchase tickets when they go on sale. For more information visit glastonburyfestivals.co.uk. You need access to your email to edit your registration. If you no longer have access to your email please submit a new registration. If you can't remember your details, you can recover your existing registrations here. Use a passport style photo with a neutral expression, against a plain, light background. Click browse to choose a photo to upload. What kind of photos are acceptable? A recent, colour photograph of the head and shoulders, in sharp focus with the entire face visible. You must be facing forward, looking straight at the camera, with a plain expression, your eyes open, and mouth closed. Your photo should be passport-standard and portrait orientation once cropped (taller than it is wide). Landscape photos will not be accepted. Photos must not be altered by editing software or filters. Please do not wear hats, sunglasses, or anything that covers your face and be free of glare from glasses or 'red-eye'. Your photo must not contain other objects or people. Please note, if your photo does not meet these criteria it will be rejected, and you will need to repeat the process, so please take your time to get the photo right before you submit. What kind of photos are unacceptable? Once you are happy with your photograph, please save it and register your personal details with us. Your photo will go into an approval queue where it will be reviewed. We will email you to tell you if your registration has been successful. For photo queries email photoqueries@seetickets.com. We use our own cookies and cookies from 3rd parties to ensure that we give you the best experience on our website. If you continue without changing your settings, we’ll assume that you are happy to receive all cookies on the See Tickets website. However, you can change your cookie settings at any time.